On Wednesday 28th September, Urban Synergy and Thomson Reuters collaborated to deliver a fourth STEM focused Role Model Seminar to 70 year 6 students from Gordonbrock Primary School. The seminars, which aim to raise student aspirations by providing an opportunity to gain an insight into the role models’ professions, hear personal challenges as well as success stories and their ‘top tips’ for success focused on early careers for their target audience and was delivered by Thomson Reuters graduates. The seminar was opened by Dave Weller, Chief Enterprise Architect at Thomson Reuters, who welcomed Urban Synergy, the students, their teachers and Thomson Reuters Role Models. 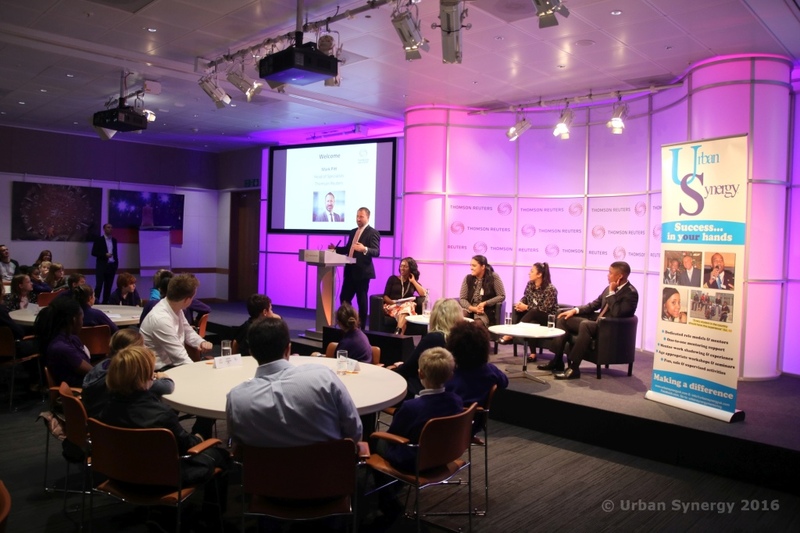 In the panel session facilitated by Lesley-Anne Miller, Client Liaison at Urban Synergy, four panelists shared what they like most about their jobs, any challenges they faced and overcame, and opportunities available for young people interested in the STEM sector. Following the panel discussion, students got the opportunity to ask more questions during a speed mentoring session where they met a range of Technologists from across Thomson Reuters Enterprise Technology & Operations organization who volunteered their time for the seminar. The session provided students with an in-depth insight into the potential and opportunities available for a future in the technology field as well as other careers within the media company. Copyright Urban Synergy Mentoring News and Events. All Rights Reserved.